It's not so long ago when automakers couldn't produce small, fuel-efficient cars fast enough as buyers flocked to them in a climate of high and seemingly constantly rising gas prices. The economic climate, and as a consequence the auto market too, have changed considerably in recent years and it's now trucks, crossovers and SUVs we can't get enough of. However, subcompacts like the 2017 Toyota Yaris still have their place and still sell in considerable numbers, but they've got to be good to get noticed. The Yaris is a model that's a big favorite around the world that's now been in production since 1999, and the current incarnation is part of what is now the car's third-generation. The 2017 Toyota Yaris might be a subcompact, but it's not small in every way. 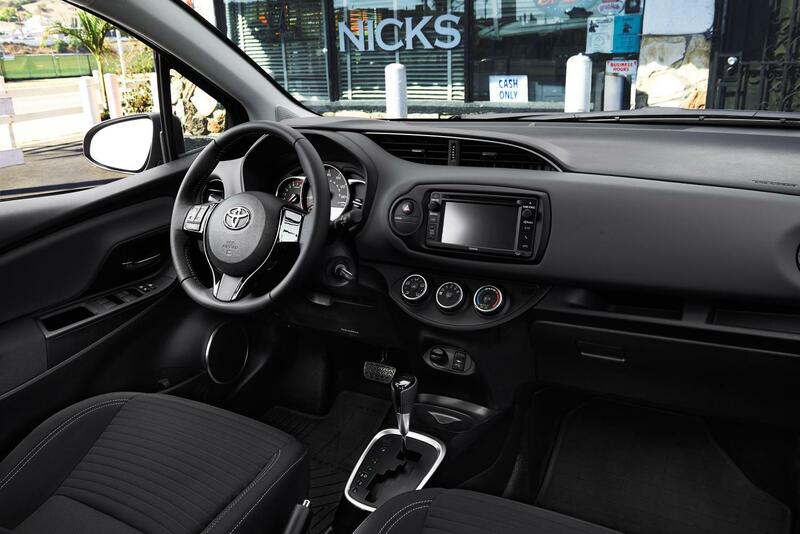 Like many of today's small cars, the Yaris makes incredible use of the available space inside and there's even more to discover when you start to investigate further. Not only does it make superb use of the space it has inside, there's also a quality to be found in the cabin that would normally only be seen in something bigger and more expensive. The materials are decidedly premium in feel and the build quality is everything you'd expect from a Toyota and then some. It's not all about presentation though, as the Yaris is also extremely practical, capable and easy to use and live with. There's a good amount of choice with the 2017 Toyota Yaris range for a vehicle of this type, because as well as three distinct trim levels of L, LE and SE, there are also two hatchback body styles of three and five-door formats. This year there's a newcomer to the lineup as well though, well, sort of. The new model is the Yaris iA, and yes you guessed it, it's what used to be the Scion iA and it's a four-door sedan built on the same platform as the regular Yaris, although it's actually heavily based on the Mazda2. The Yaris and the Yaris iA have similar engines but very different transmission options. The hatchback Yaris gets an inline-four that develops 106 horsepower and 103 lb.-ft. of torque that comes mated to either a five-speed manual or a four-speed automatic. Yaris iA sedans also get a 1.5-liter inline-four that's rated the same, but this time the transmissions are a six-speed manual and a six-speed automatic. that's not a problem with the Yaris. 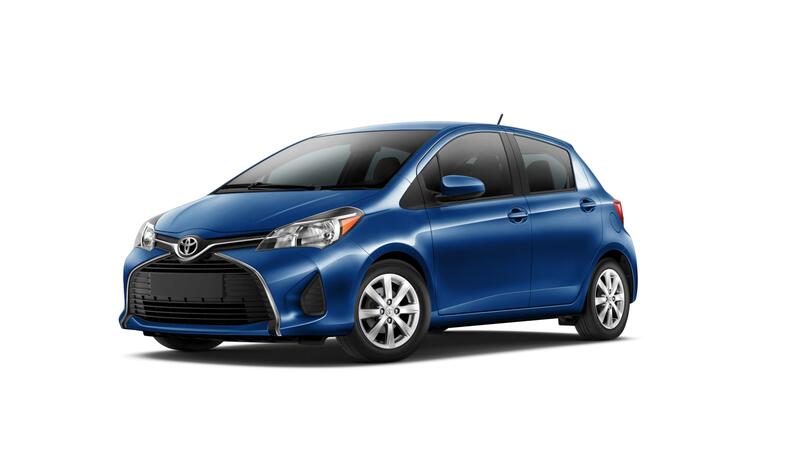 The most fuel-efficient version of the Toyota is the three-door Yaris L with its manual transmission, which is rated by the EPA at 30 mpg in the city, 36 mpg on the highway and 33 mpg combined. * There's only a tiny difference with the automatic though, as they get just one mile per gallon less for highway and combined driving conditions. If you expect a small car for nipping around the city to be lacking in terms of features and equipment, the 2017 Toyota Yaris will come as a pleasant surprise. Standard features even in base models include: a six-speaker stereo, a 6.1-inch touch-screen display, HD Radio, USB ports, Bluetooth, and voice recognition. And new for the Yaris in 2017 is Toyota's Safety Sense-C suite of features, which include lane departure alert, automatic high beams, and pre-collision braking, which are safety features you'll struggle to find in any other new small car. *All vehicle mileage based on 2017 EPA mileage estimates. Use for comparison purposes only. Do not compare to models before 2008. Your actual mileage will vary, depending on how you drive and maintain your vehicle.